It's 02:13 in Manhattan Beach, USA right now. El Porto Beach The El Porto Beach Live Surf Camera gives you an up close view of the South Bay Gem. Manhattan Beach, California: Manhattan Beach Pier, 0 miles away. Hermosa Beach, California: Hermosa Beach Pier, 1.6 miles away. 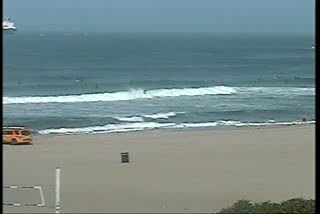 Hermosa Beach, California: Live Surf Camera, 1.6 miles away. Torrance Beach, California: Live Surf Camera, 5.1 miles away. Marina del Rey, California: Marina Aquatic Center, 7 miles away. Venice Beach, California: HD Stream Muscle Beach, 7.1 miles away. Santa Monica, California: Santa Monica Beach, 9.6 miles away.